About Us - Unity Tool Inc.
Ron Van Essen began his new manufacturing company from humble beginnings in 1969. Ron’s dedication and expertise grew Unity Tool from a single piece of machinery in the basement to a company delivering products to local and global customers. Unity is a true American success story built from long hours, hard work, and a commitment to quality and customers which still stands strong today. The name Unity was chosen for a reason. We focus on unifying elements for the better – better relationships, better turnaround, and better products to ensure the success of our customers. Our name depends on it. An emphasis on delivering quality brings the customer and Unity together, creating highly-valued relationships based on trust and honesty. 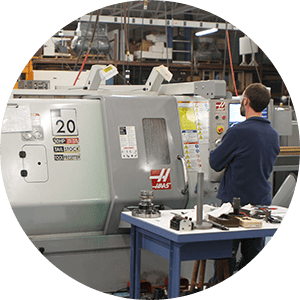 Over the past nearly 50 years, Unity has grown into a precision-driven, customer-focused, global contract manufacturing company, assisting customers to reach the pinnacle of manufacturing excellence. At Unity, we go miles beyond simple machining.